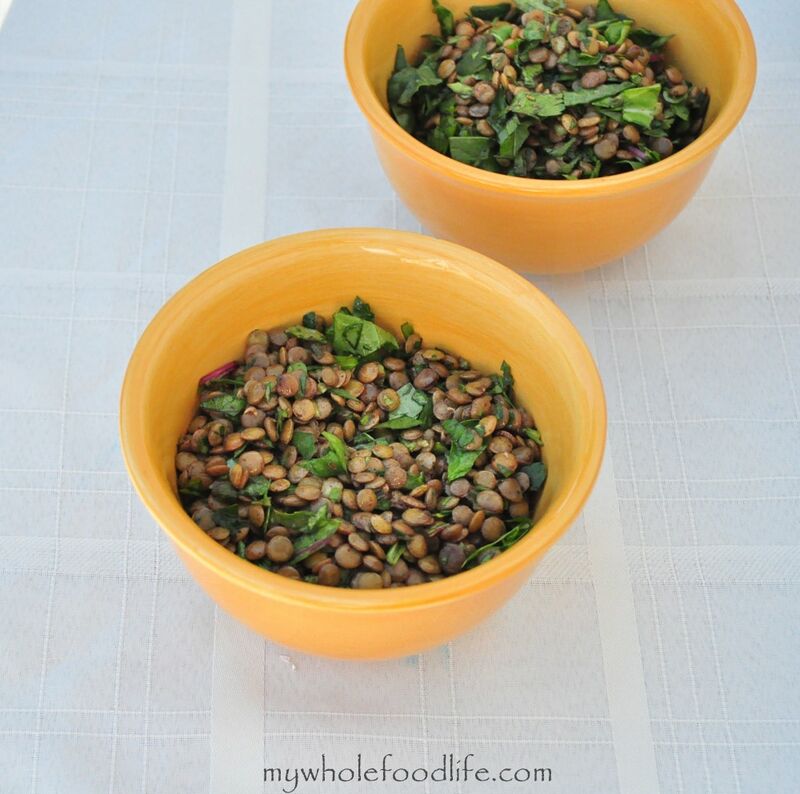 Green Lentil Salad recipe. I love cold salads. They are just so good and easy to make. This is one that my mother in law came up with. She said I could share it with all of you. I have several of her recipes on my blog. One of them is Red Lentil Soup. This is another recipe that is inexpensive to make and very healthy too. I think one of the flavors that makes this recipe great is the pomegranate molasses. You can find it at most health food stores and also at Middle Eastern markets. In fact, the Middle Eastern markets may have better prices. That is also the case when it comes to buying olive oil. I have also included an Amazon link for those that do not have either of those options nearby. A little goes a long way too. We have had the same bottle for months. After you wash/rinse lentils place in a large cooking pot, cover with water and bring to boil. Once it starts boiling, turn the heat down to simmer and cook until tender/soft (add more water if needed), for about 30 minutes or more. Drain lentils and set aside to cool. Meanwhile, in a large mixing bowl, combine sliced red onions, parsley, cilantro, spinach, green onions. To this mixture add cooked lentils. Now prepare the dressing by combining pomegranate molasses, sumac, salt, paprika and extra virgin Olive Oil. Mix well, drizzle over lentils and greens mixture and toss them well. Keep refrigerated for an hour or two before serving. I find that this gets better the next day after the flavors have time to marinate. Enjoy! I'm just starting to use lentils and I still have very little experience with them, so excuse my ignorance, but is there a big difference in flavor with the different colors (i.e. red, green, etc)? Or are they interchangeable? Yes they have different flavors. The green lentils have a buttery and earthy flavor. The red lentils have a more mild flavor. Wow! This salad sounds delicious. I haven't had pomegranate molasses in many years, but I remember loving it. I think it's worth looking for it again. Thanks Susan! I hope you enjoy it.